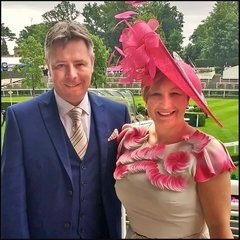 Marie-Anne specialises in bespoke millinery design for weddings, proms, balls, Ascot or any other special occasions. She offers not only the bespoke service, but also an extensive and varied range of ready-made hats, fascinators, shoes and other bridal and mother of the bride accessories and we now stock Beth Morgan exclusive millinery. Many of the designs produced are unique and individually tailored to the customer, so you can be rest assured that your design will not be duplicated. Marie-Anne takes great pride in providing excellent customer service, where every enquiry is dealt with personally. At hats2go, she caters for all budgets with ranges staring from as little as £20 and, with the launch of this website it is now even easier to view and purchase online no matter where you are in the country. 20% off all orders placed during March & April.